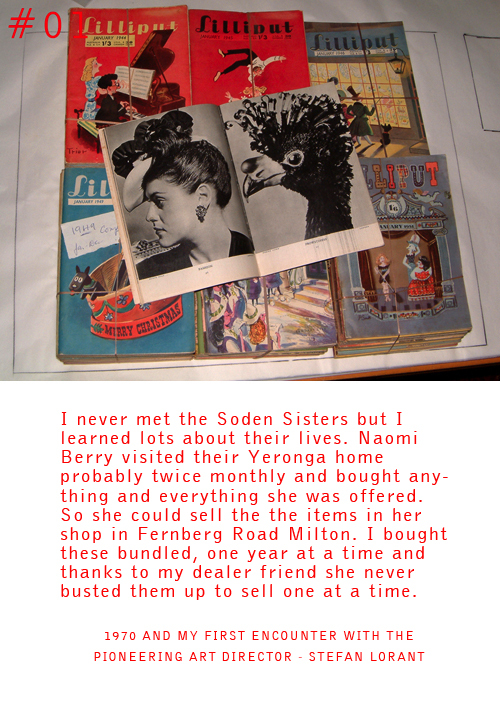 My ephemera collection (and associated memory) was given a super public display of affection at the time . . . and then yesterday Jo Hoban from thedesignfiles visited the studio fleshing out her cover story on 1) our home, 2) our studio and 3) our working collaborations – soon to be featured. Jo wondered, like I have often mused – why more opportunities are not forthcoming to show off lost pieces of personal history. At least one more visitor has mined my archive. The powerpoint is downloadable – here.